Travis & Paulina first met in the summer of 2010 during a missions trip that Travis took from Canada to serve in the Nation of Costa Rica. Travis was serving with the Canadian Armed Forces at the time but over the course of the week long missions trip lost his heart to the Nation and began to discover a calling towards full time missions in church planting. Upon his return home, Travis & Paulina maintained a close friendship which blossomed into a courtship. In February of 2012, Travis resigned from the Armed Forces and prepared to move to Costa Rica where he and Paulina would be married in March of 2012. Over the course of the next 4 years, Travis & Paulina began a new chapter of life and a new season of ministry, working with a local church and ministering on the streets of Cartago and organizing many short term missions trips to the Nation of Haiti. 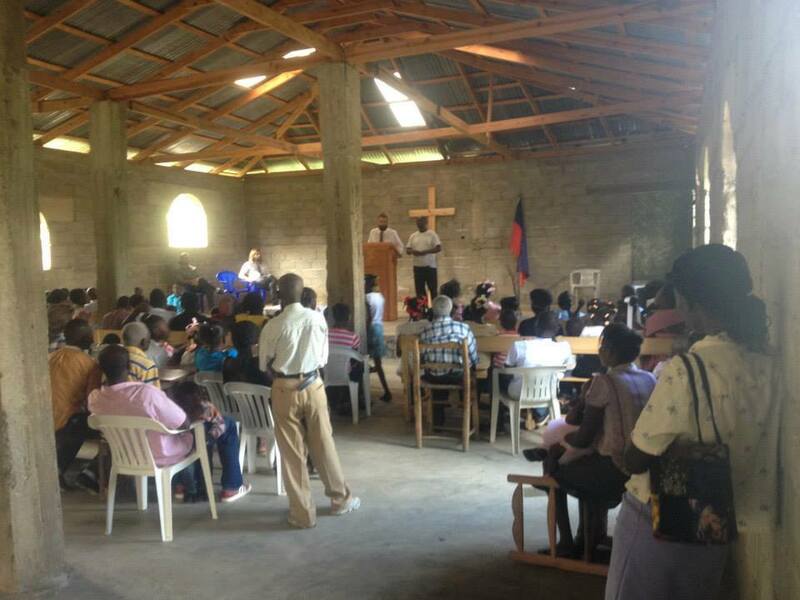 In 2016, the Lord began to stir Travis & Paulina's heart for a greater expression of ministry in Haiti and stepped out for a longer term mission assignment for 9 months to establish a base of operations for ministry on property owned by Travis' brother. It was during this time that Travis embarked on a fundraising trip back to Canada where the Lord reconnected Travis with Michael & Somerset, his former Pastors. Michael shared with Travis about their establishment of Legacy 728 Intl. and the vision that the Lord had given them for world missions. From that time forward the Lord linked Travis & Paulina with Legacy, supporting Travis & Paulina in their work. Over the next year, Travis & Paulina poured their life into the Haitian people, running feeding programs, weekly Bible classes and Sunday ministry, in addition to offering reading lessons, running evangelistic meetings. They saw many people healed and delivered from the power of darkness. At the conclusion of their mission to Haiti, Travis & Paulina felt a shift in their ministry coming and together with Michael & Somerset, they began to prayerfully consider what the Lord had for them in this next chapter of their lives. Out of this time, the team felt the call of the Lord for Travis & Paulina to return to their home in Cartago, Costa Rica with a vision to see the establishment of a ministry centre that could comprise of a local church and a training centre to raise up ministry leaders and church planters, to help fulfill the vision the Lord has placed within Travis & Paulina's heart to plant and establish churches throughout Central America. Travis & Paulina now live in Cartago, Costa Rica with their 5 children, Kiara, Ximena, Victoria, Danna, & Abigail; where they lead a network of house churches and take teams into remote areas of the jungles of Costa Rica, bringing the light and hope of Christ to the unreached indigenous peoples.